While its true that there’s no such thing as a 'no strings attached' free lunch, its good to know that there are still some foreign currency exchange complementary services doing the rounds. Some brokerage firms' Forex complementary services include standing orders. The key benefits of having a standing order as a complementary service are that the market is monitored on your behalf. You just pick your desired exchange rate and your order will be automatically processed if the forex market reaches your chosen rate. 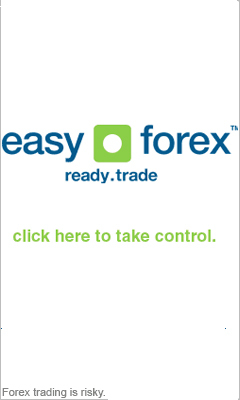 The good thing about this kind of FX complementary service is that you will also not be under any obligation to make a definite purchase if the market doesn't really reach your desired rate. A standing order enables you to capitalize on positive exchange rates when you are not able to personally monitor the market and or do a transaction. Some brokerage firm representatives can assist you in deciding on a rate that is appropriate for current market conditions. Standing Orders is one of the best complementary services to have and it can monitor the market 24 hours a day for mostly up to 14 weeks, after which you must choose whether to renew your Standing Order if the market hasn't reached your specified rate. Most firms also offer you the chance to cancel your standing order if it hasn't already been executed should you change your mind about your currency needs. Another one of the great Forex complementary services is when your broker provides you with free, real-time streaming quotes. It’s great that web brokers are now being able to offer this complementary service as it is something that was once only really available through expensive full-service firms. When we are looking at foreign exchange complementary services, we should note that you are more likely to get these free services at full service brokers, although the internet has made it easier for discount brokers to also offer freebies. When you choose to use a discount broker, you should be able to make your own decisions, and be of the opinion that saving on trading cost is more important than added FX complementary services. Full-service brokers are typically better for novices as they offer personalized investment advice, as well as investment research reports that were produced by their company. Remember not to overlook discount brokers as more of them are starting to provide research reports on various types of stocks, bonds, mutual funds, and other investments, and others are even making some research reports available to their clients as one of their free services. If you can get some bundled foreign currency exchange complementary services for the same price or slightly more, then all the better!